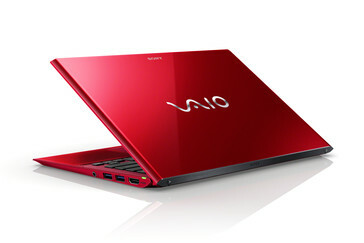 Sony released the luxury VAIO | Red Edition series of notebooks. These are retouched versions of the VAIO Fit, VAIO Pro and VAIO Duo, offering plenty of options to choose from and exquisite looks. Sony sells a lot of VAIO laptops all over the world, but the brand new VAIO | Red Edition series is not something for the masses. 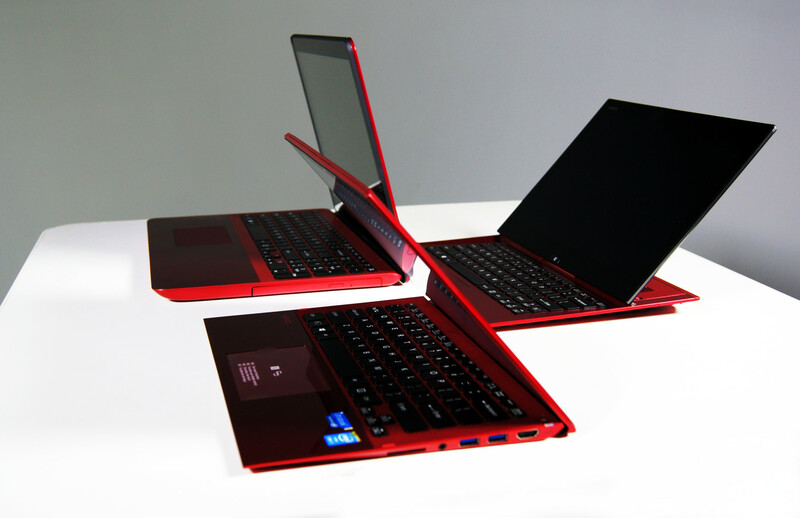 The limited edition Red family consists of the following three models: VAIO Pro 13 | red edition, VAIO Duo 13 | red edition and VAIO Fit 15 | red edition. All three models mentioned above are luxury versions of the rather common VAIO Pro, VAIO Duo and VAIO Fit notebooks, providing their users "a premium experience from color and design to performance and support." Depending on the underlying material, Sony used different painting techniques to achieve the signature red finish. The multiple paint layers are hand polished and a protective UV coating is applied at the end, ensuring protection from minor scratches and wear. All the VAIO | red edition laptops mentioned above are powered by Intel Core i7 processors from the Haswell family (except the Ivy Bridge-powered VAIO Fit), featuring up to 12 GB of DDR3 memory, full HD touch displays and up to 512 GB of storage space (the base models feature a single SSD each). 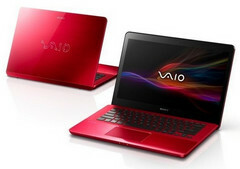 - VAIO Fit 15 | red edition: $1999 .99, Intel Core i7-3537U processor, 12 GB DDR3, NVIDIA GeForce GT 735M, 256 GB SATA SSD. 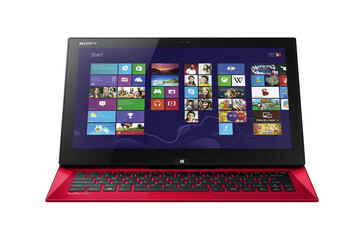 - VAIO Pro 13 | red edition: $2599 .99, Intel Core i7-4500U processor, 8 GB DDR3, Intel HD Graphics 4400, 512 GB PCIe SSD. 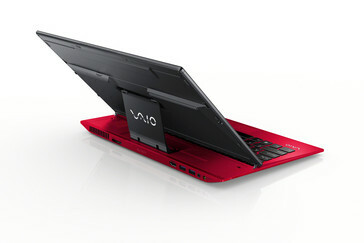 - VAIO Duo 13 | red edition: $2999 .99, Intel Core i7-4650U processor, 8 GB DDR3, Intel HD Graphics 5000, 512 GB PCIe SSD. All three come with Windows 8 Pro 64-bit, being touch enabled and are covered by 1 year of protection against accidental damage from handling. For more information, please check the press release below the image gallery. SAN DIEGO, CALIFORNIA, August 8, 2013 – Sony is raising the status of its VAIO® Duo, Pro and Fit models by releasing a limited number of rich and exotic VAIO® | red edition PCs that provide users a premium experience from color and design to performance and support. VAIO | red edition is the ultimate expression of Sony craftsmanship. The signature red finish is achieved by a variety of painting techniques on different materials, including carbon fiber and aluminum. Multiple paint layers are individually applied and hand-polished, building layer upon layer of lustrous color. To give it that extra glossy finish, a durable protective UV coating creates an extra vibrant sheen with gorgeous depth and richness. In addition to premium luxury design, the VAIO | red edition of the Duo, Pro and Fit models are fused with the power of Sony’s display technologies, exceptional camera quality and audio technology. The VAIO | red edition models deliver super charged performance with Intel® Core™ i7 fourth generation processors. The sophisticated VAIO Pro 13, the world’s lightest 13.3” touch Ultrabook™, is also the first notebook PC on the market to include a high speed PCIe SSD drive, allowing for faster performance than traditional SSD drives. The VAIO Fit 15 offers a hybrid hard drive and an optical drive that reads and writes Blu-ray Disc™ media. VAIO Duo, Pro and Fit models also include standard Sony features such as a full-size backlit and full-pitch keyboard, track pad and instant PC resume technology. With NFC (Near Field Communication technology) included across the VAIO Duo, Pro and Fit lines, users can quickly exchange website URLs and enable Bluetooth® connections by simply tapping a compatible NFC device to the PCs. In addition, the PCs feature ArtRage® Studio (VAIO Duo includes ArtRage Studio Pro), the premiere digital arts software. And for those that want to try their hand at video creation, all models include VAIO Movie Creator. 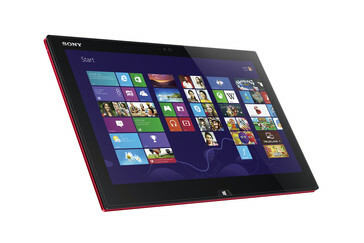 All models are also touch-enabled and unlock the full potential of Windows 8. Each model available in VAIO | red edition comes with PC Essentials. Sony store Premium Service Experts will move the data from a user’s current PC to the new VAIO and perform other new PC services. Not only does the VAIO | red edition come with 1 year standard warranty but also included is 1 year of protection against accidental damage from handling. On top of all this, users can simply press the ASSIST button to launch VAIO Care software to effortlessly install new software and drivers, quickly identify and troubleshoot issues, create restore and recovery media, and connect with a Sony expert via phone, chat or online. 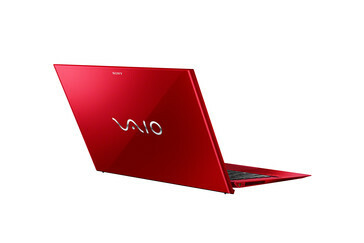 Beginning today, August 8th, VAIO | red edition is available exclusively through Sony stores and online at www.sony.com/VaioRed. The VAIO Duo 13 model is available for $2,999.99. The VAIO Pro 13 model is available for $2,599.99. The VAIO Fit 15 model is available for $1,999.99. All prices include Sony’s 1 year of protection against accidental damage from handling. For images and information, please visit www.sony.com/news.